Who’s Sinning and Who’s Settling Old Scores? 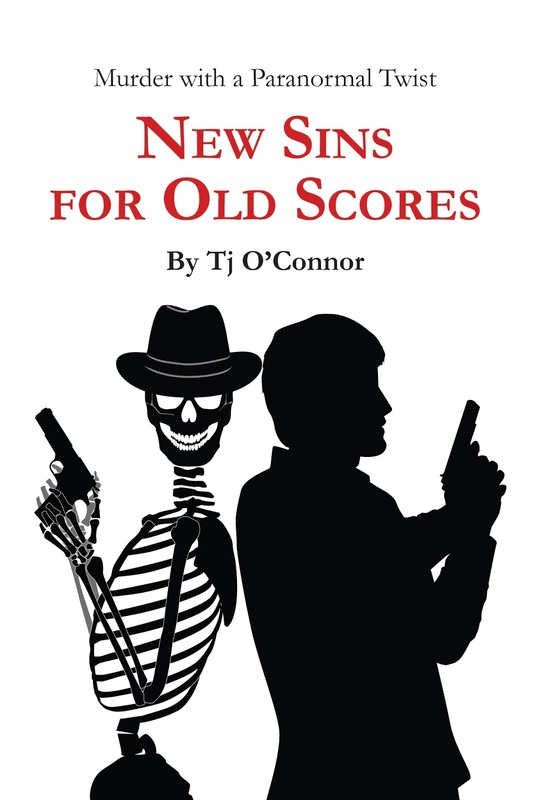 New Sins for Old Scores is my latest murder mystery with a paranormal twist—the twist is that one of the lead characters is dead. Yup, read it again. He’s dead. And this story is packed with a band of characters, each with their own agenda, and each trying to either sin or settle an old score. A couple are doing both. The secret to the story is, as you might guess, who’s sinning and who’s settling scores. When you find out who’s doing both, you’ll know who the killer(s?) is/are. You see, I’m one of those authors who plot out the story and ready a cast of characters to do my dirty work. Schemers and dreamers, haters and lovers, do-gooders and killers. Unlike most authors, there are also the present-day players and the historic players—dead ones, too. Like you’ve probably heard other authors say, once I start writing, my characters takeover and do what they want. No really, it happens. I start out with a cast and each one has a story to tell—the story I plotted out for them. By the time I’m done with the first draft, they’ve gone their own way and created their own stories, often ignoring me completely. Some of them do a better job than I can, too. Some of them I had high-hopes for have become evil and dastardly and have gone and sinned on their own. Others, well, they are in the midst of settle scores that I didn’t even know existed. New Sins for Old Scores is my fourth published novel. It was written a few years ago in the middle of another series I was writing—Oliver Tucker’s Gumshoe Ghost (I hate that moniker) mysteries. Since, I’ve also completed my thriller, The Consultant: Double Effect that will be out in May, 2018 from my new publisher, Ocean View Publishing. Each of these stories has been plot driven with strong characters that always have secrets to hide. In each, I provided the plot and my characters jump in and do the rest. Oh, I give them all names like Jax and Trick (New Sins), Tuck and Angel (The Gumshoe Ghost), and Jonathan Hunter who is The Consultant. With each of these, I drafted the outline and the characters drove the story chapter-by-chapter and character-by-character. By the end of my novels, the characters had become people I didn’t even recognize—the good ones and the evil ones. New Sins for Old Scores was no exception. Let me give you a peak at who’s who in my stories. Special Agent Richard Jax and OSS Captain Patrick “Trick” McCall: New Sins centers on these two accidental partners joined in the chasm of 75 years. Jax must come to terms with being the chief suspect in a double murder. He’s lost his love, his best friend, his career, and perhaps his mind—he’s seeing and taking advice from the spirit of Capt. Trick McCall, after all. Yet, Trick doesn’t quite see their friendship as a problem what so ever. Sure, he’s dead and all, but he’s a 1940’s man and who else can help solve a 75 year old murder case? Especially when it’s his! Trick must adjust to the modern day—2011—with computers and cell phones, the internet, and of course, the casual, often risqué lifestyle of the 21st century. Both men are hunting killers. The question is, is it the same one? Surrounding Jax’s homicide investigation is the Virginia Bureau of Criminal Investigations (BCI) Task Force. Once his friends and colleagues, they’re now a collection of the trusted and the devious. First, there’s Mike Martinez, the BCI chief. He and Jeremy Levin—a Princeton Lawyer who oddly joined the state police—are under the spell of FBI Agent H.P. MacTavish. MacTavish is a duplicitous figure who arrived right after Jax’s ambush with claims of WWII treason and all the while hiding behind the veil of national security. Then there’s Detective Dylan Finch, a local sheriff’s deputy thrown into the mix. Finch clearly doesn’t want to be part of the circus. He doesn’t trust any of the BCI agents and while he’s worried about the BCI finding the killer, he has his own agenda that is more important. The wild card on the Task Force is Christie Krein. She’s young, pretty, smart, and doesn’t believe for a moment that Jax is a murderer. She also doesn’t believe he’s seeing ghosts. Throughout the story, each of these characters is hiding secrets and each has their own reason to be chasing the killer—or protecting him. They all have one thing in common: they think Jax is a little crazy. Just when Jax thinks he understands what’s happening around him—Trick McCall included—Professor Alexandra “Alex” Vouros appears. Alex is as beautiful as she is brilliant, and yes, she has her own agenda, too. Alex is searching for evidence to prove or disprove Trick McCall’s innocence as a traitor and murderer back in 1944. She’s in league with John H. Singleton—one of the few survivors from Trick’s failed attempt to capture Harriet, the elusive double-agent responsible for smuggling illegal Nazi’s into the US during the war. Singleton, along with other OSS survivors, all have a stake in the outcome of Alex’s research. The trouble is each one wants a different outcome, for a different reason. Each is willing to do anything to get their way. Not all of them want Harriet’s true identity discovered. All of them want the past to remain in the past. Secret. Gone. Dead. Finally, there is young Ameera, a pretty Afghani refugee being secreted from safehouse to safehouse by a gang of Latino thugs. She and her family are on the run and their only protection is the dangerous street gang, the Salvadorian Muchachos. Ameera faces danger at each turn and she’s not sure which is the most threatening, those hunting her or the Muchachosprotecting her. But she knows the secrets connecting 1944 and Richard Jax—who the murderer is and who was there to cover it up. Now, after reading about these characters in New Sins for Old Scores, you might be thinking I’ve got too many characters. I don’t think I do. In a murder mystery, having too few makes it easy to figure out whodunit. Right? In New Sins, because of the historical subplots, you have to figure out whodunit now and whodidit then. So the more characters the better. Of this band of characters—past, present, and those living and dead—there are those still sinning and those settling old scores. The question is—who’s who? The answer is not what you think. Tj O’CONNOR IS THE GOLD MEDAL WINNER OF THE 2015 INDEPENDENT PUBLISHERS BOOK AWARDS (IPPY) FOR MYSTERIES. He is the author of New Sins for Old Scores, Dying to Know, Dying for the Past, and Dying to Tell. His new thriller, The Consultant will be out in the spring of 2018 from Oceanview Publishing. 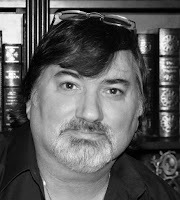 Tj is an international security consultant specializing in anti-terrorism, investigations, and threat analysis—life experiences that drive his novels. With his former life as a government agent and years as a consultant, he has lived and worked around the world in places like Greece, Turkey, Italy, Germany, the United Kingdom, and throughout the Americas—among others. He was raised in New York’s Hudson Valley and lives with his wife and Lab companions in Virginia where they raised five children.